Rare find pool home in the Eagles Golf and Country Club under 300K! 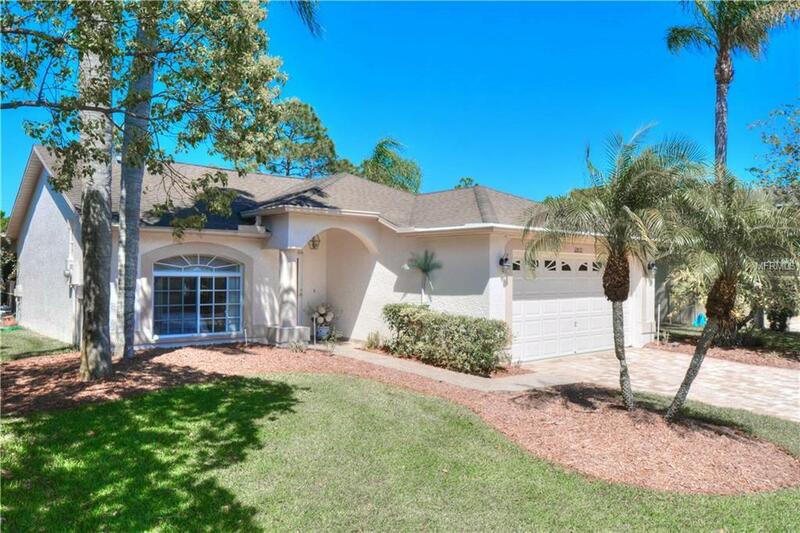 This gorgeous pool home has amazing golf course views and is located on the 18th fairway of the Forest Course in the Eagles Golf and Country Club! This well maintained home offers 3 bedrooms, 2 full baths, 2 car garage. Upon entering this home you are greeted with spectacular golf course views from every window and slider to the pool area. The eat-in kitchen features new stainless steel appliances, large tile flooring and granite counter tops. The master suite offers beautiful pool and golf course views, vaulted ceilings, walk-in closet and bath with garden tub and new tile flooring! Other features of this amazing home include: new roof being installed in a few weeks, paver driveway and much more! The Eagles boasts two 18-hole championship caliber golf courses, a first-rate clubhouse, dining facility and 24 hour gated security.